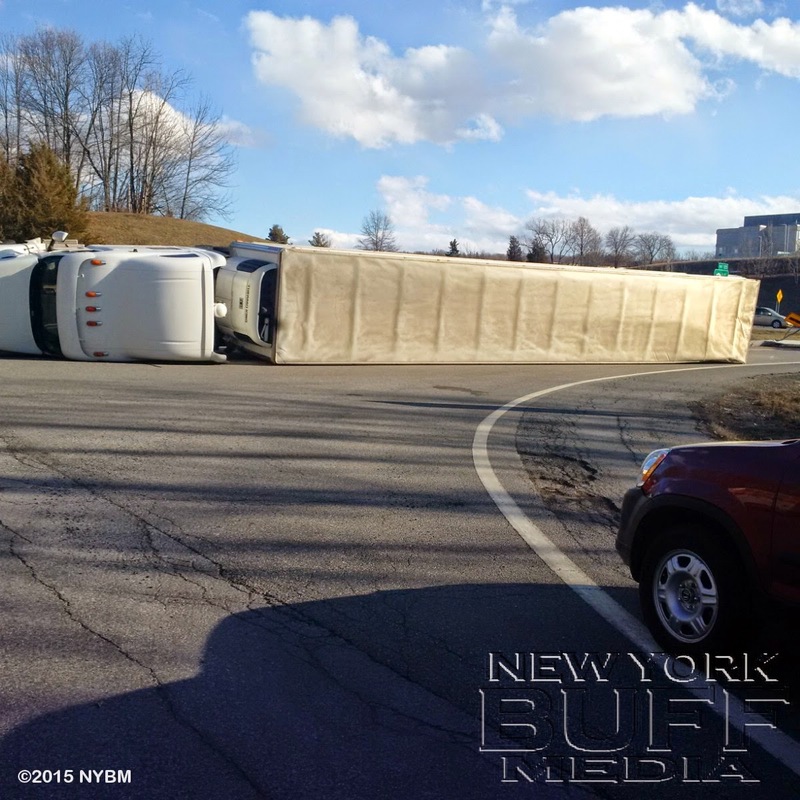 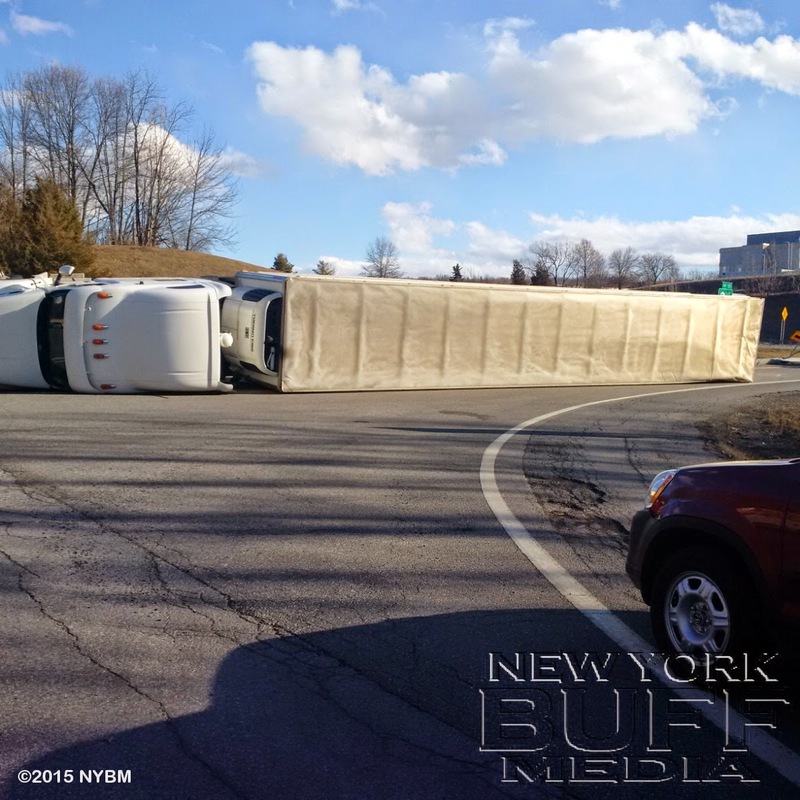 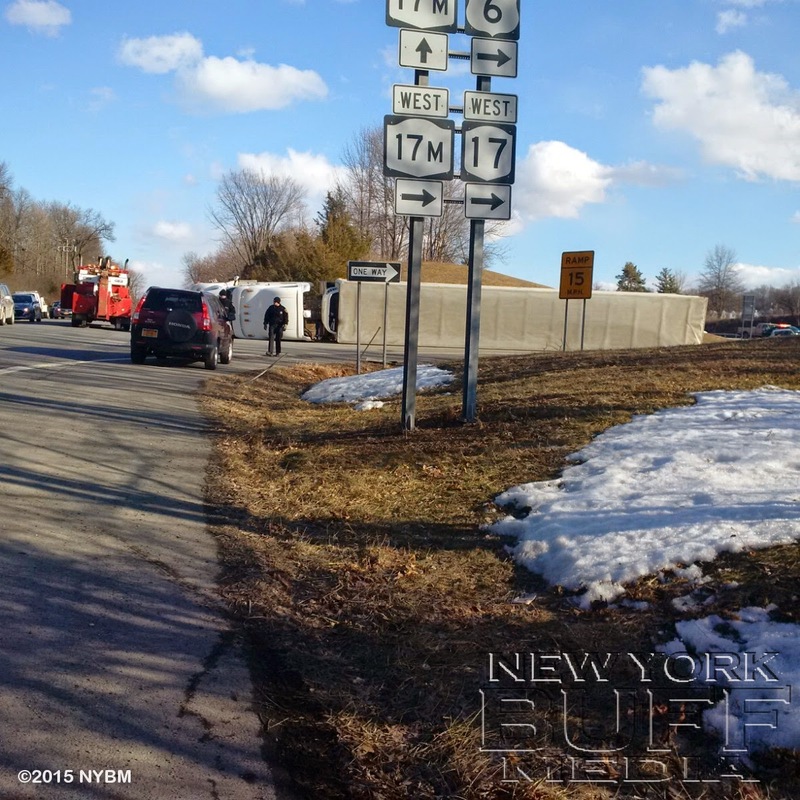 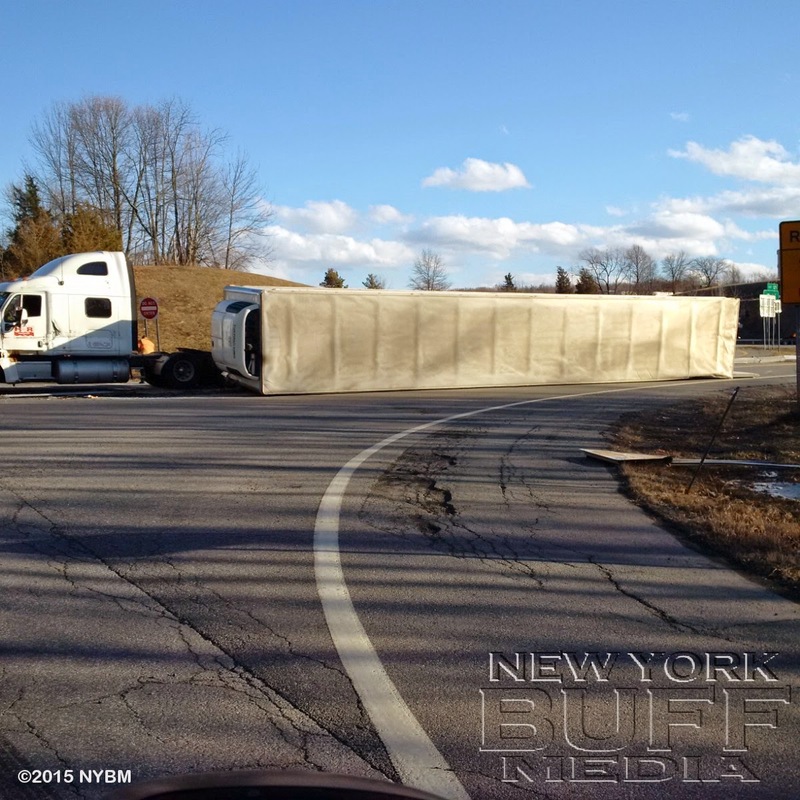 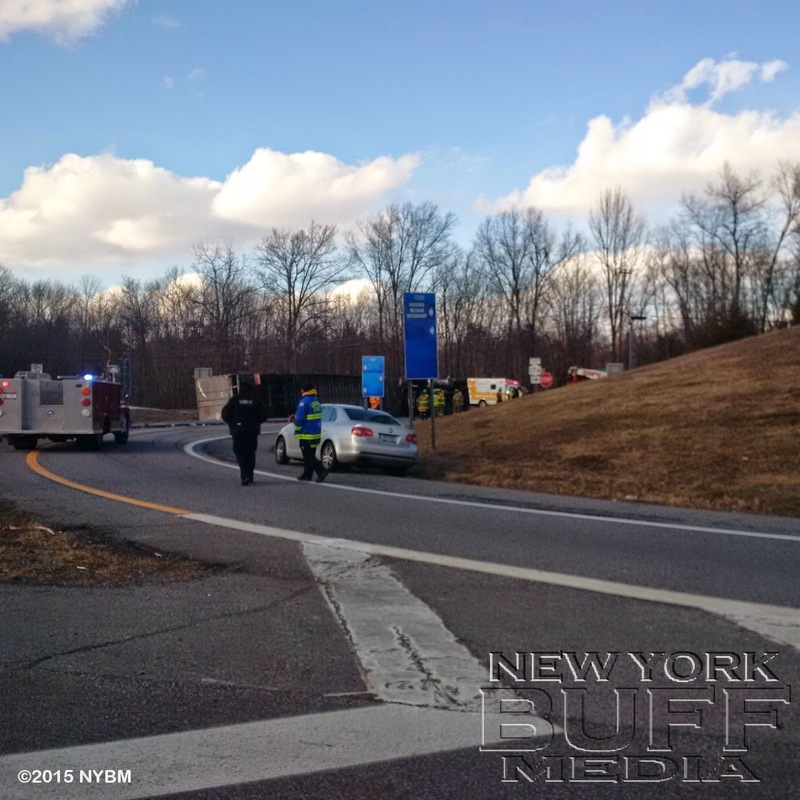 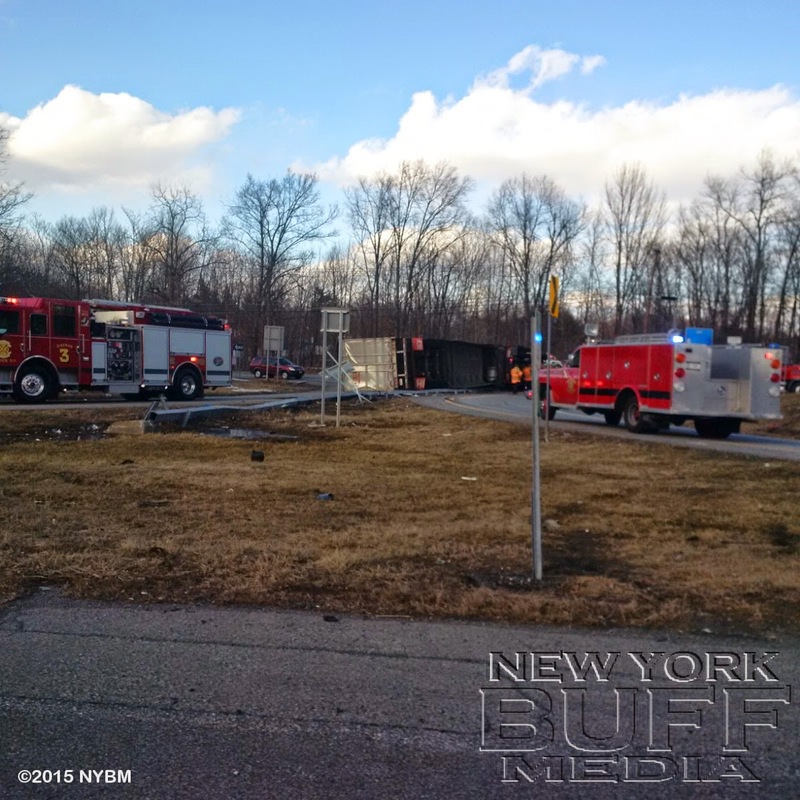 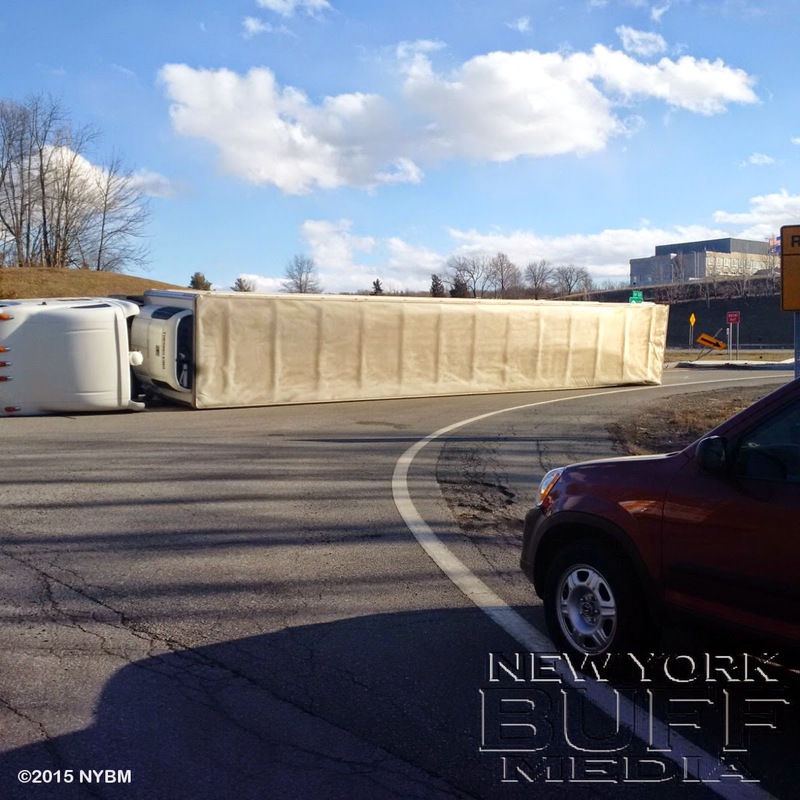 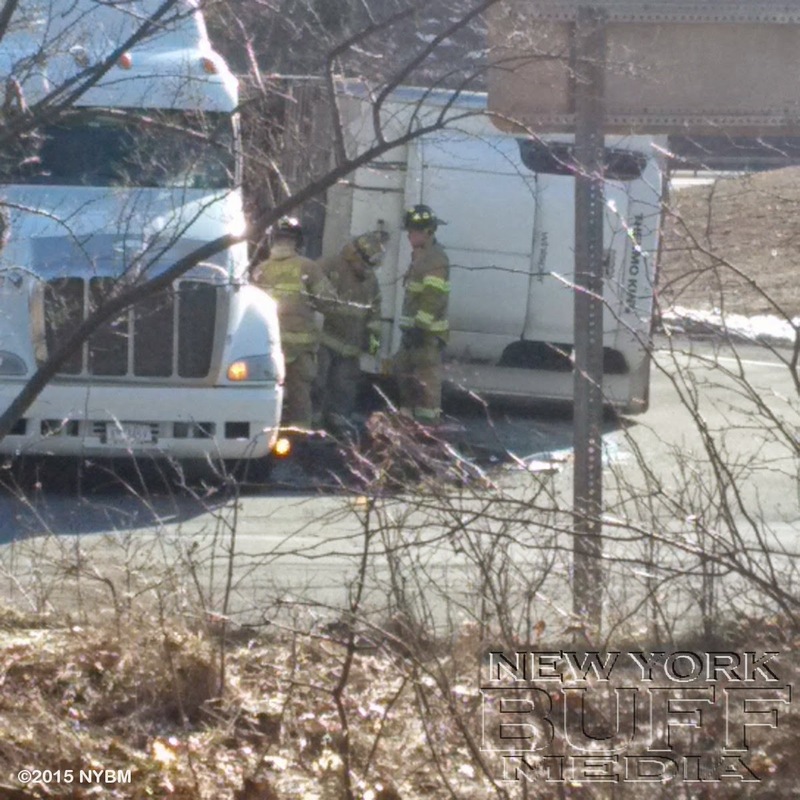 Goshen - A tractor tailor overturned on the NY-17 west bound in area of Exit 125 Wednesday afternoon causing traffic backup for a few miles. 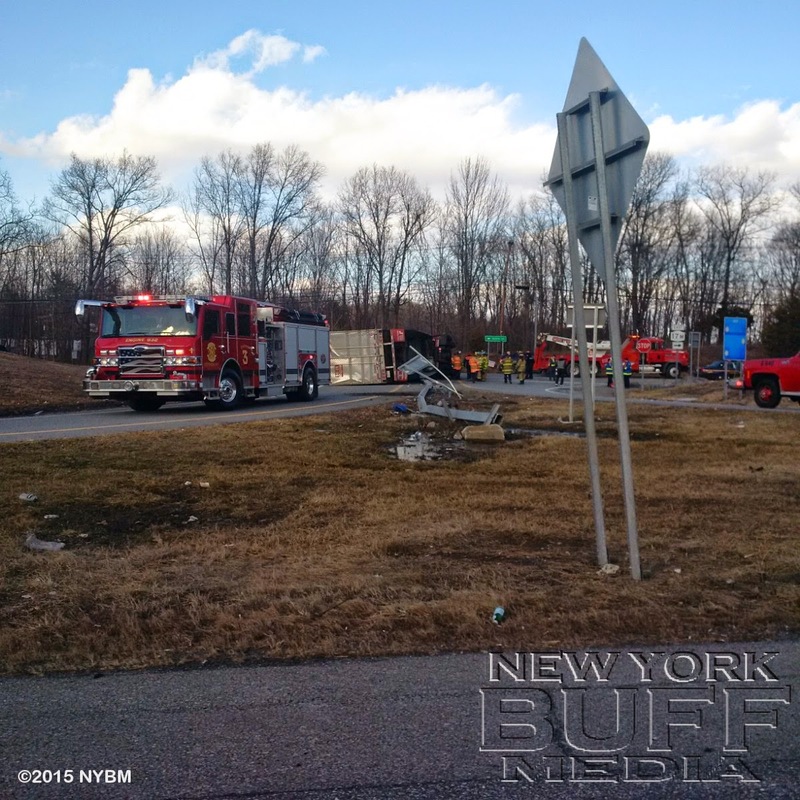 It is unknown what the exact cause of the accident was. 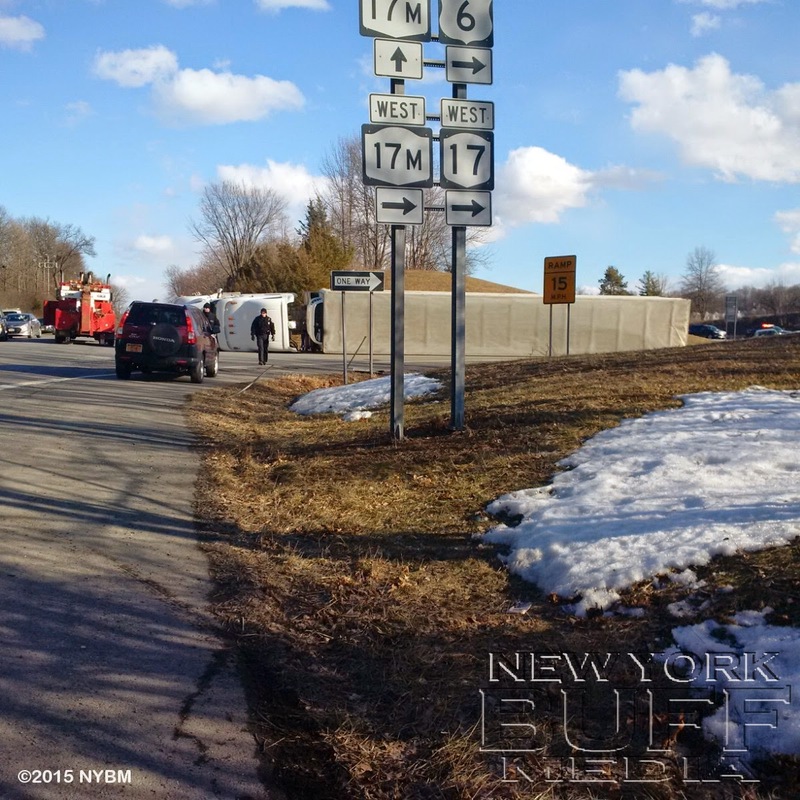 The driver was transported to a local hospital with minor injuries.